Delta's exclusive DIAMOND Seal Technology uses a valve with a tough diamond coating. InnoFlex PEX waterways keep water inside the faucet out of contact with potential metal contaminants. This powerful combination brings you a faucet built to last up to five million uses. Only Delta faucets are equipped with Touch-Clean soft, rubber nubbins that allow you to easily wipe away calcium and lime build-up with the touch of a finger. Having a cold water tap at your kitchen sink has never been easier - or more stylish. The Sip beverage faucet offers a coordinating style for every decorating taste: traditional, transitional or modern. 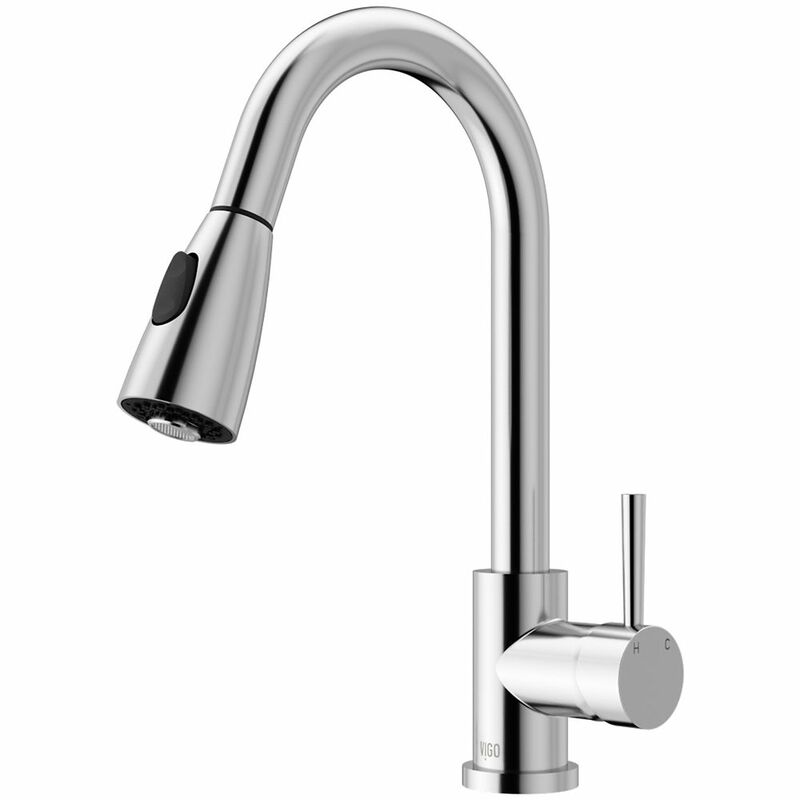 Sip styles feature a high arc rotating spout that gives you more convenience at the sink. Add the optional filtration system to get clean drinking water when desired. Weston Pull-Down Spray Kitchen Faucet in Chrome is rated 4.6 out of 5 by 40. Rated 4 out of 5 by Burner from Looks good Easy to install. Looks good. Very difficult to pull spray head out and back. In fact so difficult that we do not use it. Rated 5 out of 5 by Kappy from Very Classy Looking Set! It looks very stylish with my new quartz counter top. Rated 5 out of 5 by Kenno from Great Sink! We just love this sink. Well built and beautiful. We will definitely recommend Vigo products to others.